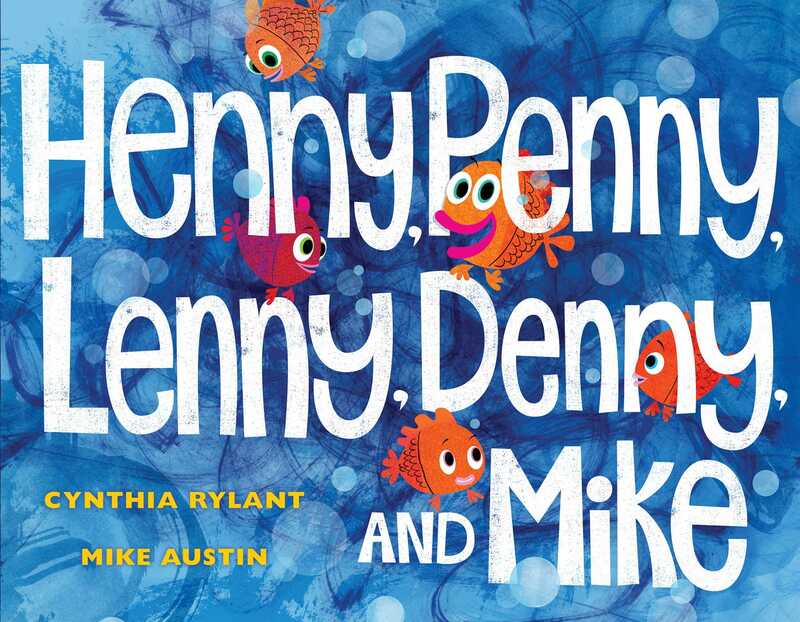 From beloved author Cynthia Rylant and illustrator Mike Austin comes a colorful and quirky picture book about five fish who find unexpected friendship when some new additions to their tank shake things up! Mike Austin is the author-illustrator of Fire Engine No. 9, Monsters Love Colors, and Junkyard. He lives with his wife, artist Jing Jing Tsong, and their two children in Langley, Washington. Fish buddies Henny, Penny, Lenny, Denny, and Mike live a glorious life in their tank—except on “clean the fish tank day,” when they are “unceremoniously plopped into a bowl.” But their newly sparkling home is worth it, and things get even better with three additions to the tank: a clownfish, an angelfish, and a fairy castle. When Lenny gets stuck inside the castle, an underdog snail—ignored but always nearby—saves the day. Rylant’s text is gushingly enthusiastic (“Can fish-tank life be any more perfect than this? Why, yes!”), and a surplus of sound effects and all-caps display type create the sense of a book quickly moving from readaloud to screamaloud. Austin’s multitextured digital cartoons are equally high-energy, combining the crispness of collage with bold shades of pink, orange, purple, and blue. Underneath the geeked-up antics is a subtle reminder that even when life seems downright blissful, there are some (like a certain overlooked snail) who could use a little attention and care. castle, is freed by the snail, who becomes a hero, “and the fish-tank life returns to what it always was . . .
this creative team will surely eke out more adventures for this winsome fab five. Glitzy digital art brings the fish tank world to life in full-bleed illustrations that exceed the limits of the fish tank itself on pages bordered with scribbly blue water, while other illustrations zoom out to show a little girl cleaning the tank and doing her homework while her fishy friends swim around and around....the fishes’ cartoonish faces are so expressive and their reactions so exaggerated that kids will be sure to giggle over them—especially when the snail makes his heroic, algae-covered appearance....the fishes’ treatment of the snail may be a good entry point into conversations about bullying and friendship. Rylant has always had a fondness for animals (and the Beatles! ), and here she has created a sweet story about the five “fab” fish that live in a girl’s large sparkling aquarium. For the fish, every day is “heaven.” They love the diver, the bubbles, and the pirate ship that decorate their tank. Bad days only occur when the little girl cleans the tank; however, after one cleaning day, they get three special surprises—two new fish (a clownfish and an angelfish) and a fairy castle. However, one of the fish immediately gets trapped in the castle, and it is up to an overlooked snail that also lives in the tank to save the day. 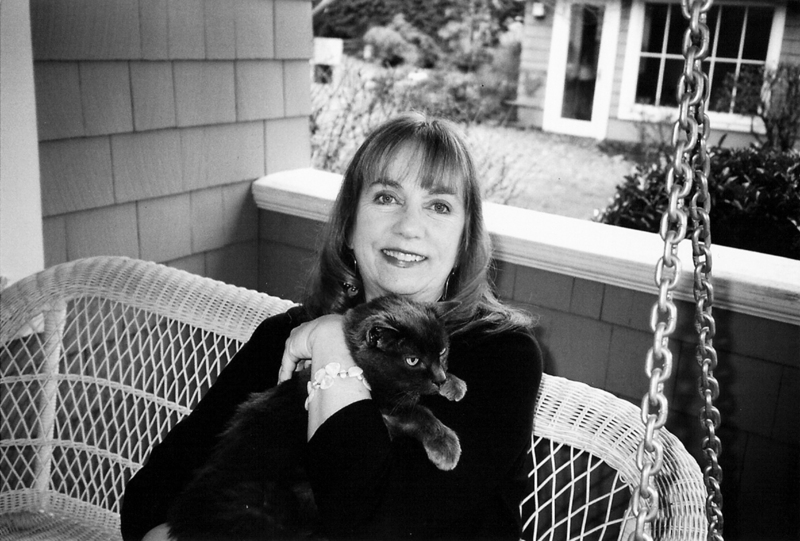 Children will enjoy the rhyming names of the fish, the repetition (plop, plop), the multitude of exclamation marks, and the use of oversize words at critical points in the story. Austin’s bright and colorful cartoons complement the bouncy text well. The original fish have expressive eyes, front fins that almost look like hands, and bright pink lips. The face of the snail, when he realizes that he can be the hero, is a wonderful blend of charming, goofy, and gross. Finally, Austin sets off scenes that take place in the tank with swirls of blue paint and bubblelike circles on the edges while using a plain white background for scenes outside of the tank. VERDICT A cheerful, engaging story, perfect for reading aloud to younger children.